While both political parties have denounced the rising cost of prescription drugs, neither Democrats nor Republicans have done much to address the problem. But this summer, a new tool to restrict the rising prices of drugs developed with taxpayer dollars has been introduced by the two U.S. senators who don’t belong to either party. The mechanism works like this: Drug manufacturers who take federal money to develop drugs must keep their U.S. prices in line with the prices they charge in other economically advanced nations — typically much lower than drug prices in the U.S. The system would prevent pharmaceutical companies from effectively double-charging U.S. consumers by using their tax money for research and then charging them some of the steepest prices in the world at the pharmacy. 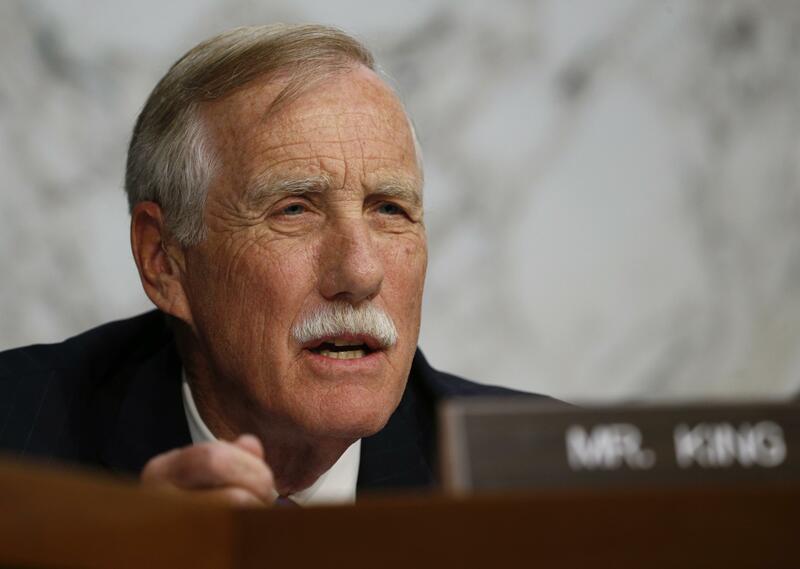 Pharmaceutical companies, who pour millions of dollars into both the Democratic and Republican parties, are against the idea, which is perhaps why the fix is being pushed by Bernie Sanders of Vermont and Angus King of Maine, the only independents in congress. The U.S. has the highest level of per capita pharmaceutical spending of any nation on Earth, according to the Organisation for Economic Co-operation and Development (OECD). And while Americans spend more than any other country to buy their drugs, they also spend more than any other country to develop those same drugs. In June, King successfully added language to the 2018 military spending bill (still working its way through congress) that would allow the Department of Defense to take away exclusive patents from drug companies that benefitted from DoD funding if their drug price in the U.S. rises above the median price in seven foreign countries with similar economies. Then last week, Sanders introduced legislation that would tie the prices of drugs made with government funding to costs in other countries. 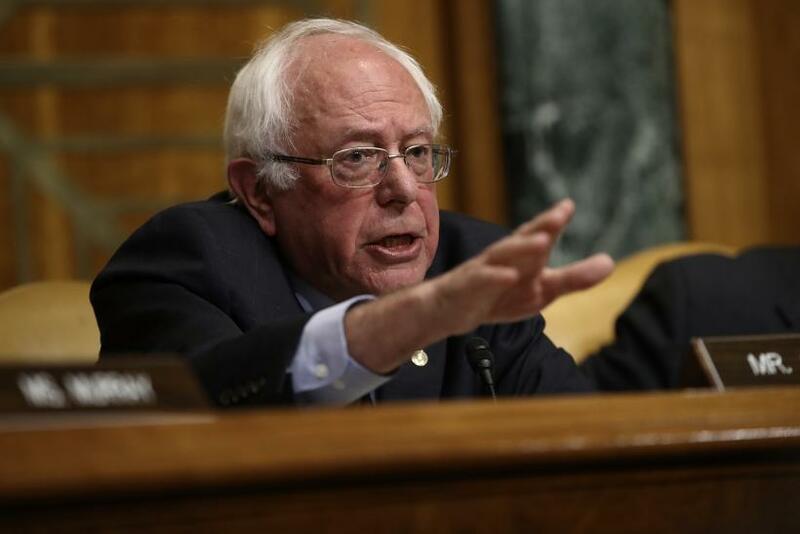 Unlike King’s language, Sanders’ bill would expand the concept beyond the DoD. The bill requires companies taking federal funds to develop drugs to enter into “reasonable pricing” agreements with the Secretary of Health and Human Services. The proposal is the latest salvo in Sanders’ effort to stop the military from granting French pharmaceutical company Sanofi Pasteur the exclusive right to sell a Zika vaccine. But just how much government support the industry receives is up for debate. While industry estimates put total annual private R&D spending by biopharmaceutical companies at about $60 billion per year, the government’s contribution is much harder to nail down. The National Institutes of Health, the government’s main funder of health research, told International Business Times in a statement that “there is no exact number which would accurately capture NIH investment” in drug development. In total, NIH spends about $32 billion on medical research annually. Last year, the National Center for Science and Engineering Statistics estimated that in 2014, total federal government R&D spending on pharmaceuticals and medicines was just $267 million. But that number takes into account only money given directly to drug makers. “Typically, then, if anything of commercial value is discovered in this sponsored research, those compounds will be sold or licensed to drug companies who have the capital and resources to spend on later phase (more expensive) clinical development necessary to bring them to market,” Hinds said. Other experts told IBT federal support of drug development goes well beyond just funding research. “It’s not so much the money we are actually spending through NIH. We are providing huge value to companies in tax credits, other incentives, expedited FDA approval, exclusivity agreements… all of these are benefits,” Rachel Sachs, an associate professor at the Washington University in St. Louis School of Law told IBT. Sachs cited a 50 percent tax credit for the development of “orphan” drugs as an example of the government’s support of the pharmaceutical industry. The value of that orphan drug tax credit is estimated to be worth $50 billion between 2016 and 2025, according to the Treasury Department. But the benefits flow both ways between the pharmaceutical industry and Washington, which is why the Sanders bill faces an uphill battle to reach the floor for a vote. The bill was sent to the Senate Health, Education, Labor, and Pensions committee, which is chaired by Lamar Alexander. Pharmaceutical and health products companies gave more to Alexander’s campaigns between 2011 and 2016 than did any other industry, according to the Center for Responsive Politics. And even if the bill gets to the floor, it would face opposition from the industry’s 1,350 lobbyists, who don’t come cheap. The pharmaceutical and health products industry has spent a remarkable $144 million on lobbying so far in 2017, more than double what the defense industry has spent over the same time period. The pharmaceutical industry, which says it costs $2.6 billion to bring a drug to market (while spending more on marketing than research) made a similar argument against “reasonable pricing” more than two decades ago, when it successfully persuaded the Clinton administration to repeal a “reasonable pricing” rule implemented by President George H.W. Bush. After the 1980 Bayh-Dole Act, private researchers could patent intellectual property they developed using federal funding. But by the late 1980s, outrage over the $8,000 annual cost of AIDS drug AZT, which was the only drug approved for treatment of the disease at the time, prompted the Bush administration to implement price control measures. In 1989, NIH was granted the right to review the introductory prices of drugs that were produced with government research, over the objections of the pharmaceutical industry. “The Bush administration felt it was appropriate to expect some concessions on pricing if the government was involved in the drug and funding research,” James Love, director of Knowledge Ecology International, told IBT. Love researched the original rule while working for Ralph Nader’s Center for the Study of Responsive Law in the early 1990s. But unlike the specific criteria for reasonable pricing put forth in the Sanders bill, the Bush rule was a bit ambiguous. “The agreements said something to the effect that it had to show some relationship between price and government’s role in developing the drug... Nobody really knew what it meant,” Love said. Just six years later, the Clinton administration rescinded the order on the grounds that it was harmful to innovation.